353. 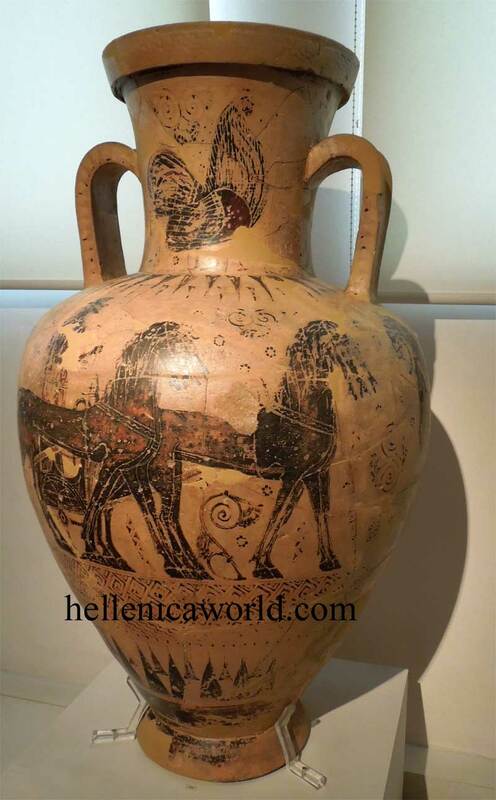 Early Attic black-figure amphora. A. Two chariots and their charioteers. On the neck: cockerel and floral ornament.